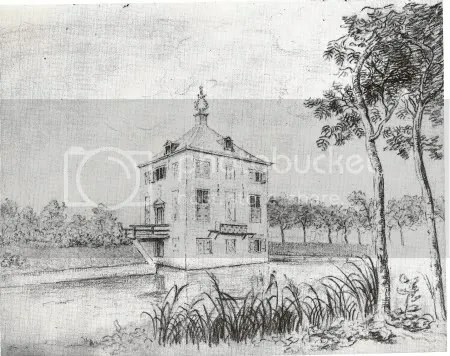 To add to the picture of the quiet Huygens family estate at Voorburg we have a drawing of it by the hand of Christiaan Huygens himself (undated). This brings a certain vividness to any imagined visit by Spinoza in the summer of 1665 [thought about here: What Spinoza and Huygens Would Have Seen that Summer Night ]. It would be likely that at one of these top floor windows Huygens would have placed his telescope, and through which he and Spinoza would have gazed at Saturn. 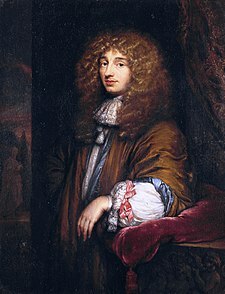 An interesting sidenote: Spinoza is said by Colerus to have drawn portraits of some quality (and he lived in the house of a master painter), so in this the two men may have shared some small interest. 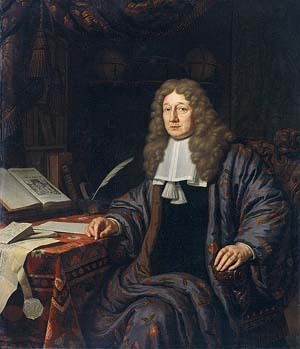 This struck me as such a remarkable image, one that I have found in my just nascent research into Spinoza’s lens-grinding techniques (Huygens was a companion and nearby neighbor of Spinoza’s in the years 1664 and ’65). This is the lens with which Huygens discovered the first moon of Saturn (in March of 1655), and then the rings, as unlike Descartes before him he embodied his studies on the nature of optics. There are several things that are eye-catching. First is its thinness and size. Likely ground by hand, it is merely 5.7 centimeters across and yet has a focal length of over 3 meters. It is only 3.4 millimeters thick. Admovere oculis distantia sidera nostris : They carried distant stars to ours eyes. It is this artifact of discovery, the materiality of the lens, emphasized by inscription, the presence of the poetry and the observation, that we glimpse something of the physicality of sciences, and the conceptions that enlighten it. Later, when other moons besides this one were discovered, Huygens simply called this moon, “my moon”. One gets a sense of the personal, material and historic conception of invention.